The Hangover is our original model. 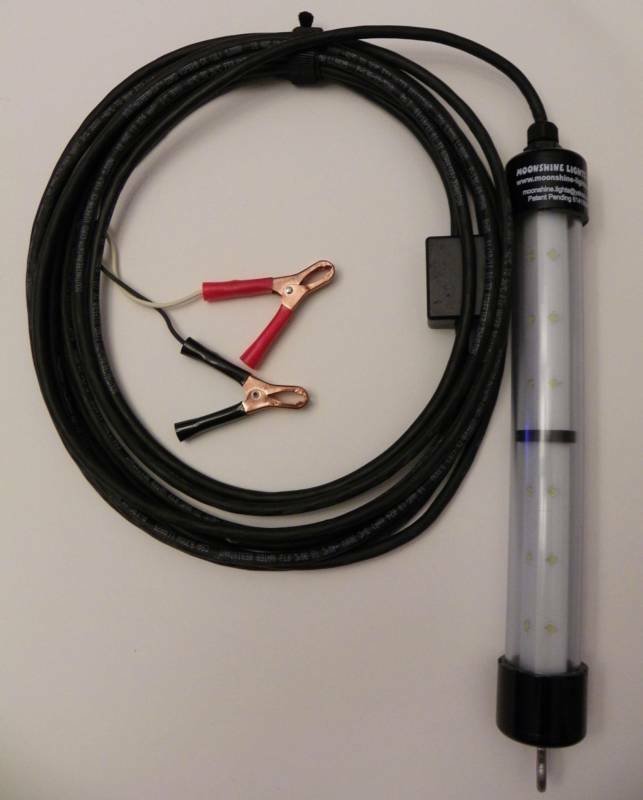 It houses 12-3 watt ultra bright LED's and comes with a waterproof no tangle 25' power cord. The light dimensions are 9"L x 1 1/4" diameter. The Hangover draws less than 1/2 an amp. Please choose color and DC power option. The "COMBO" is one of the most valued and unique features that we have exclusively for the Double Shot and Triple Shot models. The "COMBO" comes with an AC and DC adaptor. The Double Shot houses 24-3 watt ultra bright LED's and comes with a waterproof no tangle 25' power cord. The light dimensions are 15 1/2"L x1 1/4" diameter. The Double Shot draws less than 3/4 amp. Please choose color and DC power option. The "COMBO" is one of the most valued and unique features that we have exclusively for the Double Shot and Triple Shot models. The "COMBO" comes with and AC and DC adaptor. 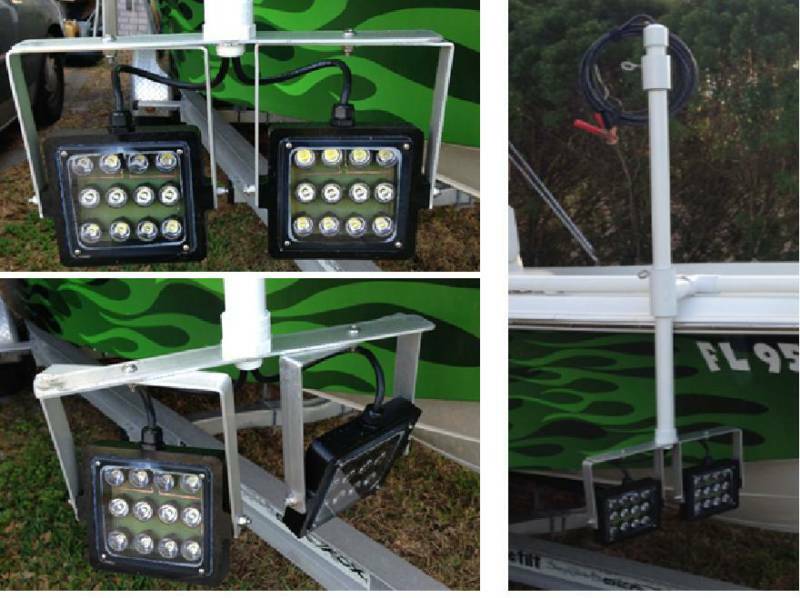 The Triple Shot houses 36-3 watt ultra bright LED's and comes with a waterproof no tangle 25' power cord . The light dimensions are 20"L x 1 1/4" diameter. The Triple Shot draws less than 1 amp. Please choose color and DC power option. 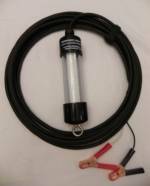 By selecting this option we will add an additional 25' of power cord to your light order. 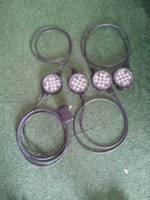 By selecting this option we will customize your light with a photocell that will automatically turn your light on from dusk to dawn. 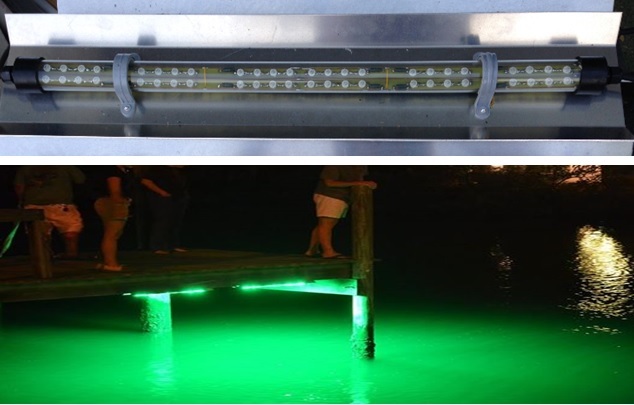 Dock light comes with 36 LEDs, aluminum shield, and photo cell. 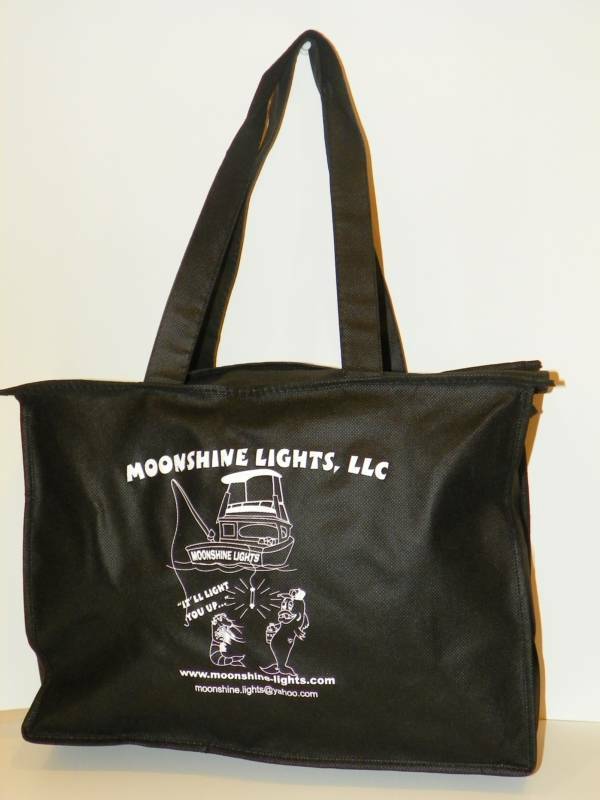 Easy to mount and is maintenance free. 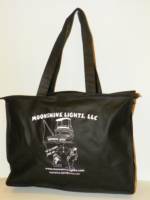 The Moonshine Bar Light comes in 2 power ratings 120 watt or 200 watt, and with a color choice of Bright White or Warm White. 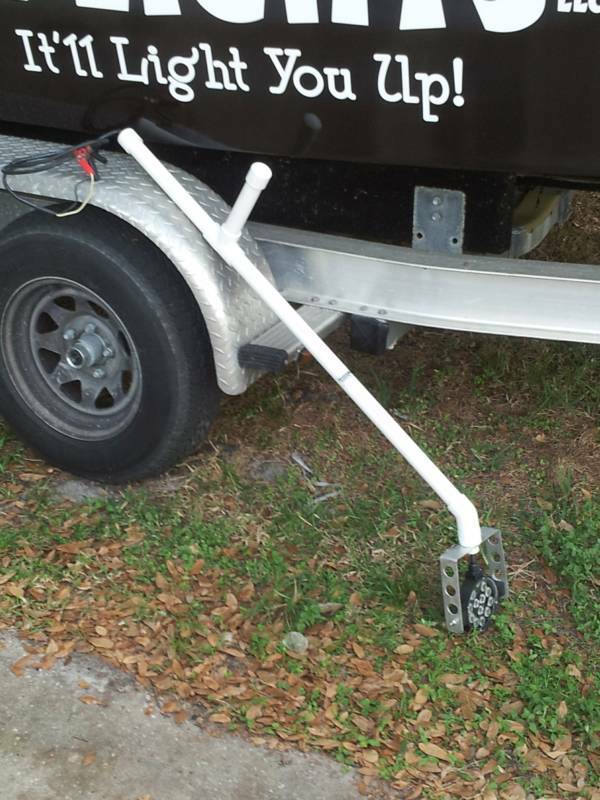 The Trim Tab Kit is our newest edition!! 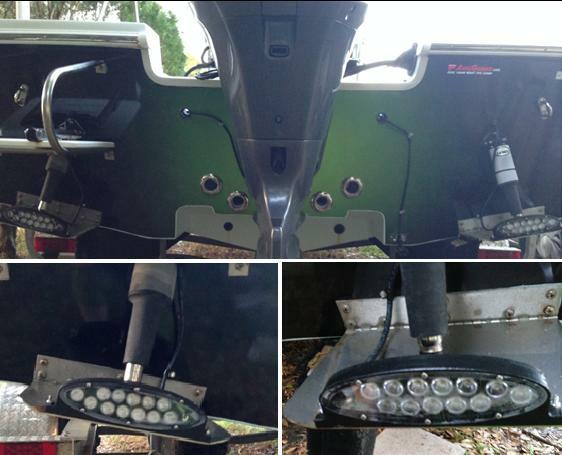 The kit comes with a set of two trim tab lights. 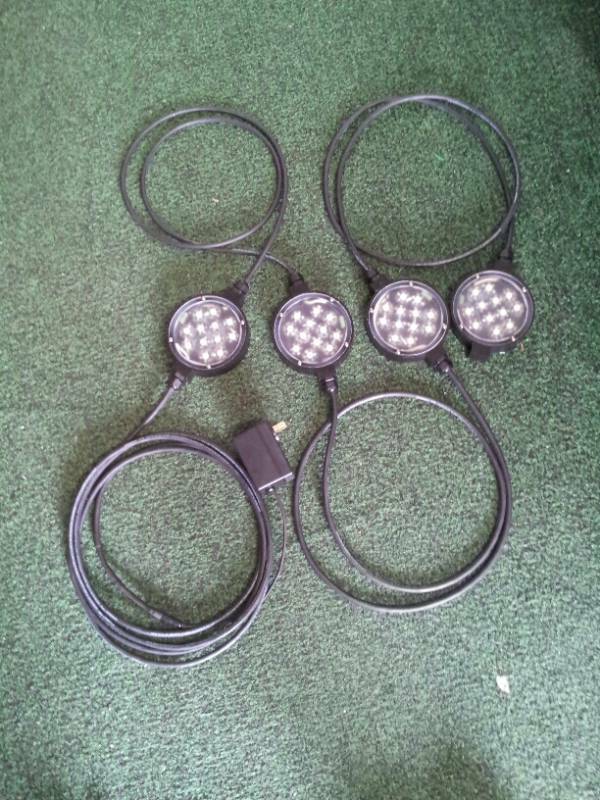 Each light is packed with 36 watts. 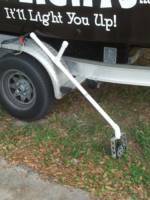 You can easily mount them to your trim tabs. Custom lengths are available, please call 407.832.5777. 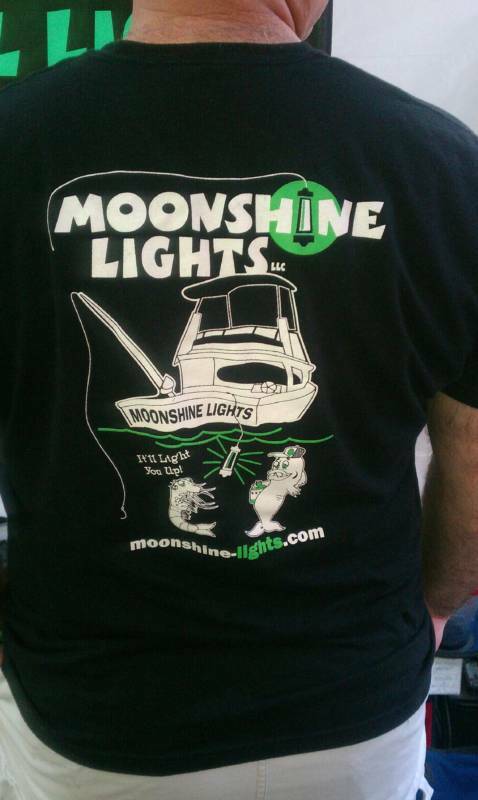 Comfortable black T-shirt with our Moonshine Lights Logo. 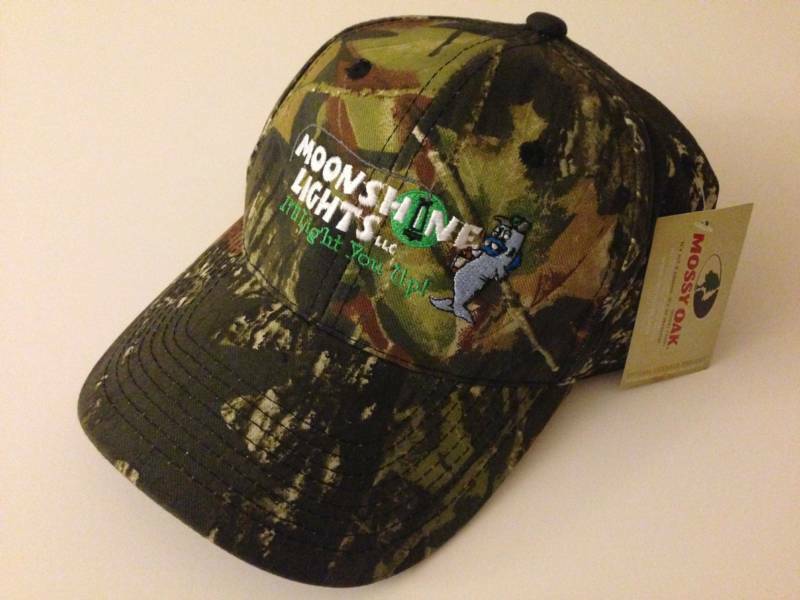 Mossy Oak Camo Hat with our Moonshine Lights logo. Press Next to see more products.